Style Rebellion presents 31 Frock in 31 Days! 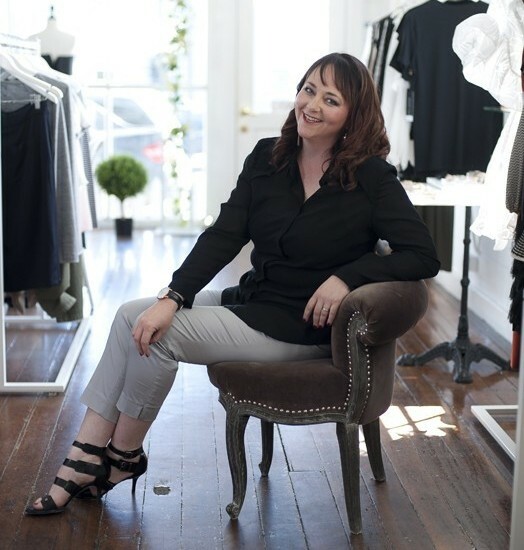 For Ema Smith, frocking up the women of Ballarat is a challenge she’ll happily accept. With the birth of her third child, Ema had the opportunity to re-evaluate her career and pursue her passion, fashion styling. Ema is in her element as she gets behind Central Square’s “31 Frocks in 31 Days Challenge” as part of Frocktober. Now in its 12th year, Frocktober continues to build momentum year on year, empowering women around Australia to Frock Up, Raise Funds and Frock Cancer. Ema’s business “Style Rebellion”, helps clients find the perfect outfit to suit their shape, style and budget. “For me, Frocktober is a great opportunity to showcase the new season styles and looks for spring. 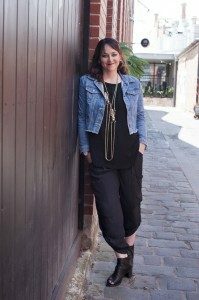 I will be working closely with Central Square Ballarat and their fashion retailers using ‘real models’ to create a different look each day for 31 days,” says Ema. I’m a mother, sister, daughter, friend and a granddaughter so the fact that we are talking about and raising awareness for the Ovarian Cancer Research Foundation is really important to me. Central Square Ballarat Marketing Manager, Kate O’Hehir says the reason the Centre has taken on the Frocktober cause in a fundraising effort in 2018 was two-fold. “So many women, friendship groups and families in Ballarat have been affected by cancer and for us to be able to engage our retailers, shoppers and local supporters to get involved as a way of raising awareness and supporting Ovarian Cancer – it’s just such a great partnership.” When Kate went looking for a fashion forward local stylist to help her curate the looks for the month of October, she looked no further than Ema. Ema’s looks will be on Instagram under the #31frocksin31days and will include spring fashion looks for young girls, teenagers, young ladies and mature ladies. As well as the 31 Frocks in 31 Days challenge, Central Square is hosting Frock Up for Frocktober, a high tea fundraising event on Saturday 6 October with all proceeds going to Frocktober. Follow Central Square Ballarat on Instagram to see the 31 Frocks in 31 Days Challenge. Follow Style Rebellion on Instagram for styling inspiration.